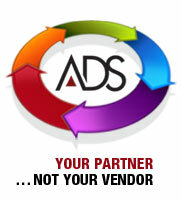 ADS has successfully developed automated payroll solutions that will transform your payday to a day you no longer dread! Whether it’s linking time and payroll data from multiple applications, automating complicated pay rules, calculating OT pay rules from prior pay periods or exporting Custom GL’s up to 19 digits allocations – our system handles it all for you with aplomb. The ADS objective is to provide a tailored offering of payroll processing services to ensure centralized management and the maximization of your staff.